Skin cancer is the most common form of cancer in Australia, accounting for one-third of all cancer diagnoses. Medicare records show there are over 750, 000 non-melanoma skin cancers treated each year – more than 2000 skin cancers each day. At least 2 in 3 Australians will be diagnosed with skin cancer before the age of 70. The risk is higher in men than women, and the mortality rate is also higher for men – 69% of Australians who die from skin cancer are men. The good news is, the sooner changes in the skin can be detected, the better the chances of success in intervention. 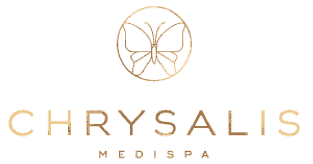 Skin checks are available with Dr. Gianoulis at Chrysalis Medispa. Dr. Gianoulis can also advise on treatment plans for treating skin cancers and pre-cancerous lesions. There are several options for skin cancer treatment, including excisions, topical creams and photodynamic therapy. All of these can be undertaken in our clinic. If you have a diagnosed skin cancer or pre-canceous lesion and would like to discuss the right solution for you, call us on 47792886 to book an appointment with Dr. Gianoulis.